Fresh and juicy pineapple can be made into many types of amazing desserts. Here you will find 13 of my favorites! From Mini Pineapple Cakes and Tropical Pineapple Coconut Bars to delicious cakes, breads, pies and tarts. There are so many ways to use this versatile tropical fruit as a dessert. 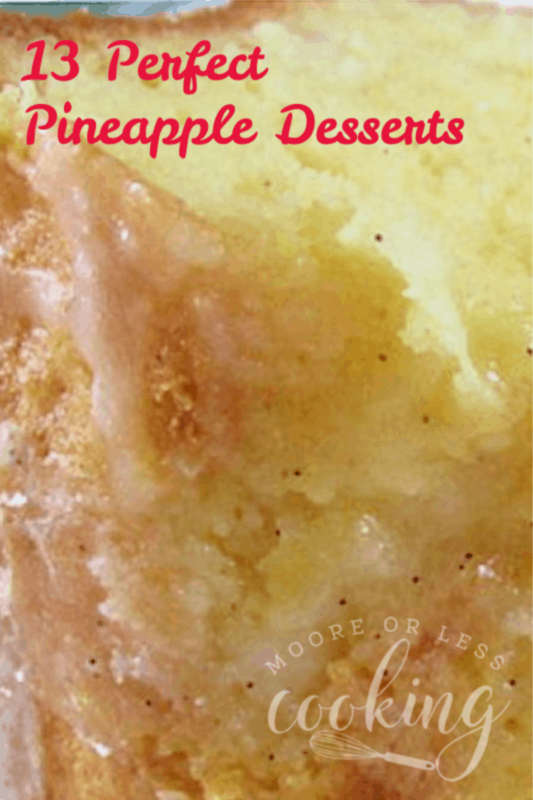 Use fresh or canned pineapple for these desserts, or read on to learn how to can your own. You can’t go wrong with this incredible selection of breakfast and dessert recipes! Try not to drool!! Banana Split Muffins with Strawberries and Fresh Pineapple! Banana muffins enhanced with the bright flavors of pineapple and strawberry, topped with a chocolate cherry drizzle. Get the Recipe here from The Rowdy Baker.